ATLANTA — The Savannah State University National Alumni Association Metro-Atlanta Chapter is currently accepting applications for the annual Scholarship Awards Program. High school seniors with a 3.0 or higher GPA who have been accepted as a student for the Fall 2015 semester at Savannah State University are eligible to apply. All applications must be postmarked by the application deadline date of March 27. Officially chartered by the Savannah State University National Alumni Association in 1960, the Metro-Atlanta Chapter Chapter provides support to Savannah State University university by building fellowship between alumni, students, staff and supporters in the metro-Atlanta community, supporting the university academically through the recruitment of students in the Atlanta area, and funding scholarships. The Metro-Atlanta Chapter annually awards scholarships to graduating high school seniors and college students in need of financial assistance to attend Savannah State University. ATLANTA —The Savannah State University National Alumni Association South Dekalb Perimeter Chapter will host its annual Scholarship Banquet on Friday, April 18 at 7:30 pm at Lou Walker Senior Center in Lithonia, Ga. The banquet is held each year to assist the chapter in sponsoring for area high school senior. For ticket information, please contact any South Dekalb Perimeter chapter member. You may also email jdays2@bellsouth.net. Dr. Judy Days-Dee is the chapter’s president. WASHINGTON – The Savannah State University National Alumni Association District of Columbia Chapter recently awarded its 2012-13 DC Chapter scholarships to Sierra Ross, Josh Duiguid, and Sanjay A. Hines, seniors at Savannah State University. During the May 19 presentation at the Phyllis Wheatley YWCA, the chapter also honored 2012 Savannah State University graduates Brittany Livingston and Dené Richardson, previous recipients of chapter scholarships. Livingston was awarded a B.S.W. in Social Work and Richardson earned a B.S. in Biology. Both were on hand at the presentation and became members of the chapter, joining the scholarship and membership committees. The SSUNAA District of Columbia Chapter annually awards scholarships to graduating high school seniors and college students in need of financial assistance who reside in the DC area to attend Savannah State University. 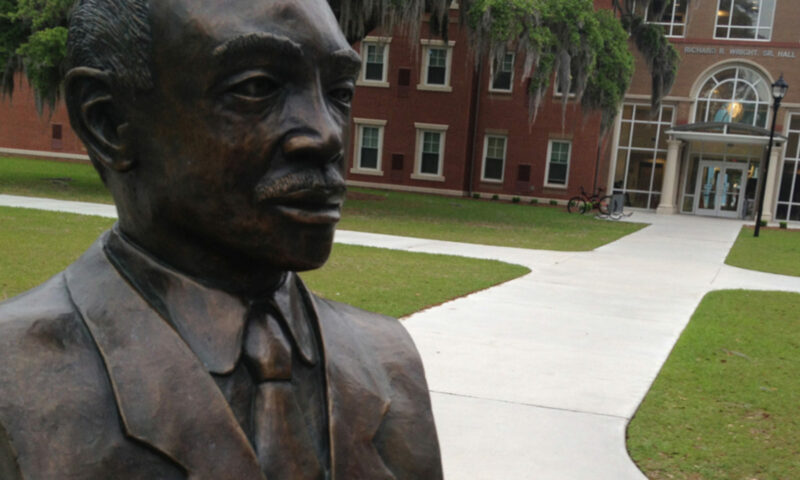 The purpose of the Savannah State University National Alumni Association is to promote the welfare of Savannah State University and to assist in advancing the mission and goals of the university’s administration. For information on becoming a member of the District of Columbia Chapter, call Mr. Clifford Wilborn at (703) 489-5932.